This Wi-Fi sprinkler controller is able to withstand very low temperatures, so it will perform same well in warm and cold regions. It easily connects to home automation systems either. A reasonable price and exquisite minimalistic design of this Wi-Fi irrigation controller will be appreciated by sophisticated families. The system can be controlled in two ways: via PC and smartphone. 9.2" x 5.6" x 1.6"
The intellectual components of this device allow it to automatically select the best mode and schedule for watering plants in your garden without the need for you to configure the controller. 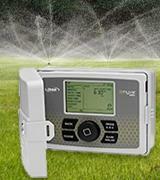 This controller does not allow for running an irrigation of multiple zones simultaneously. 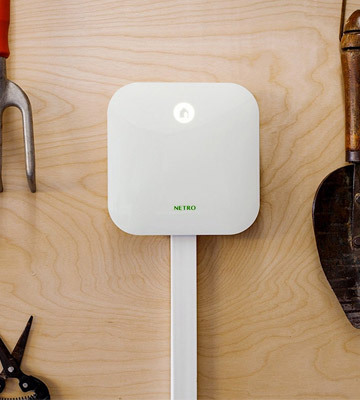 The Netro is not just a controller, it's a new hi-tech element of a smart home. Using this model, you can both make the watering fully automated and cut down on your water expenditures. 1.2" x 5.7" x 5.7"
The fault detection feature will help you diagnose all units and will suggest possible solutions. Too bulky size of the controller may somewhat deteriorate exterior look. This simple and user-friendly sprinkler controller is designed to provide the best watering conditions for your lawn. 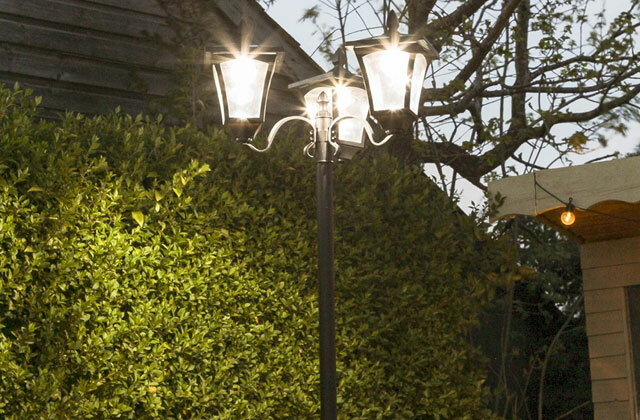 Moreover, it can be installed both indoors and outdoors. 11.3" x 10" x 4"
Allows connecting the Solar Sync ET solution to enable the controller to automatically react to changes in the weather, thereby regulating the watering process and making it as efficient as possible. No feature for starting a sprinkling cycle on pressing the button, program start only. The Hunter Sprinkler is a controller, which refers to entry-level devices though featuring all the technical solutions needed for an efficient watering of your garden and plants in any season of the year. A large touchscreen display facilitates maintenance. The freeze control and heat wave protection allow stopping the irrigation when the temperature drops and activating watering when it rises. The system can't be installed outdoors. 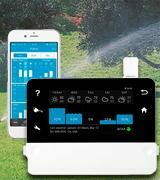 This is a great smart sprinkler controller that will water your lawn using the NOAA weather forecast. This system is able to wisely service 16 stations, saving water and your money. This time, we review the Rachio smart sprinkler. This particular model supports 8 watering stations though you might buy a version maintaining 16 sprinklers. We have immediately distinguished its easy control and simple design. 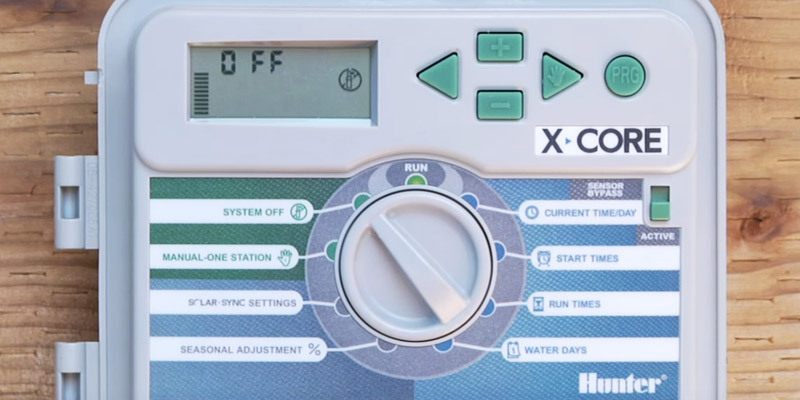 There are two optional operating modes of this controller: a fixed schedule for watering in set moments of time, and a flexible schedule for irrigation when needed. You may install additional rain and soil humidity sensors to adjust the watering controller’s work precisely. 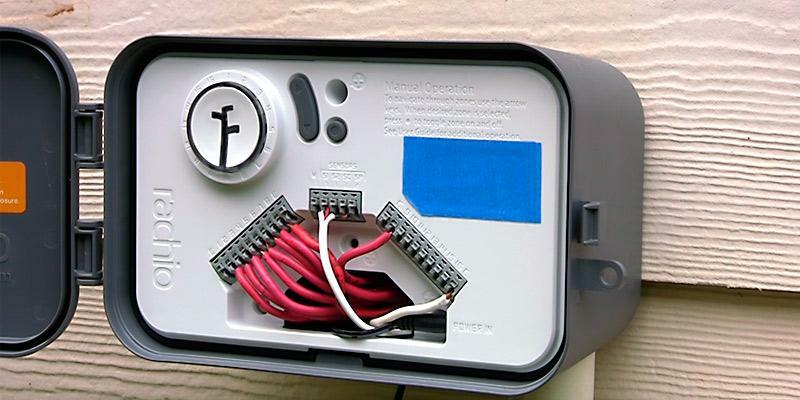 By the way, you can install this device both indoors and outdoors, if you equip it with an outdoor protection casing. We would also like to mention that the manufacturer has made it possible to utilize the smart sprinkler under high and low temperatures, so it will work regardless of weather changes. Possibly, the main difference of this controller from its competitors is the absence of a display and controls. The users are divided on this issue. One group considers this to be not very convenient arguing about a potential lack of skills among users of the smartphone apps. Others opposed pointing at the available benefits as the absence of controls enables access to the smart sprinkler only to those who installed the application. Furthermore, the app itself proved to be foolproof and functional. The remote access, messaging, and information on a current status and water consumption are constantly accessible anytime and from any place. The links for downloading the applications are provided below separately for Android and iOS devices. We were impressed particularly by one of the controller’s features, namely the Eliminate Runoff function. 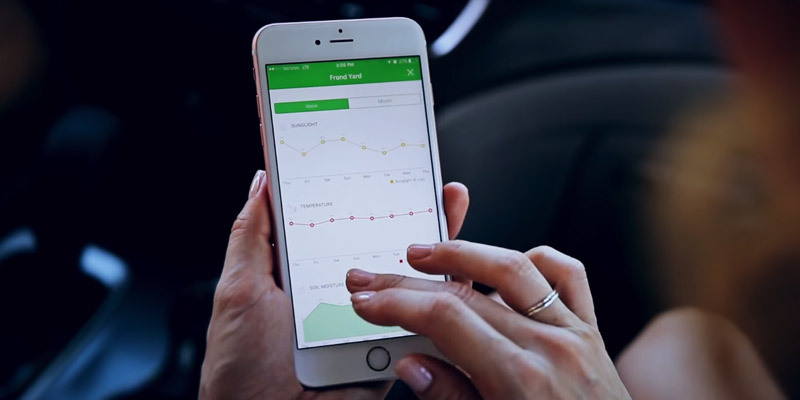 It allows the smart sprinkler to schedule shorter irrigation cycles with the objective to increase the intensity of water absorption by the soil. This way the soil will not be overwatered and its upper layer will be protected from the erosion. 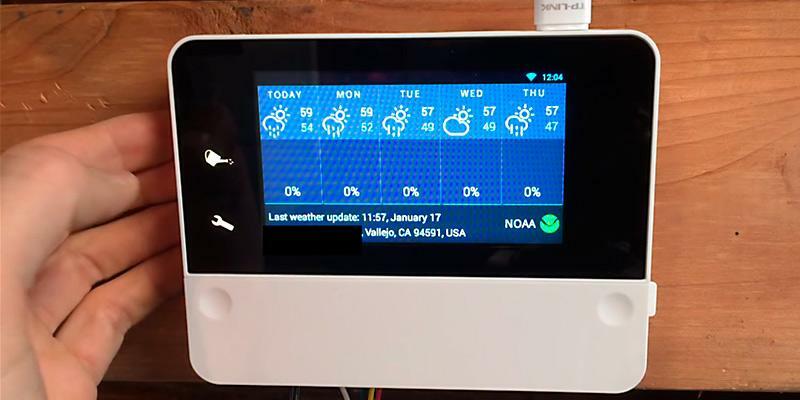 Same as any other watering controller with the Wi-Fi connection this smart system receives weather forecasts from the Internet: it will not work shortly before the rain, while it is raining, and immediately afterward; also, no watering is performed when it is cold. We have also liked the Weather Intelligence™ function that monitors weather changes for a certain period of time. And we would like to reassure you that you should not worry about adjusting the sprinkling schedule. Your controller will do that for you. The Rachio controller is EPA WaterSense certified and SWAT tested. It helps save the water resources, decrease the environmental footprint, and reduce your expenses. 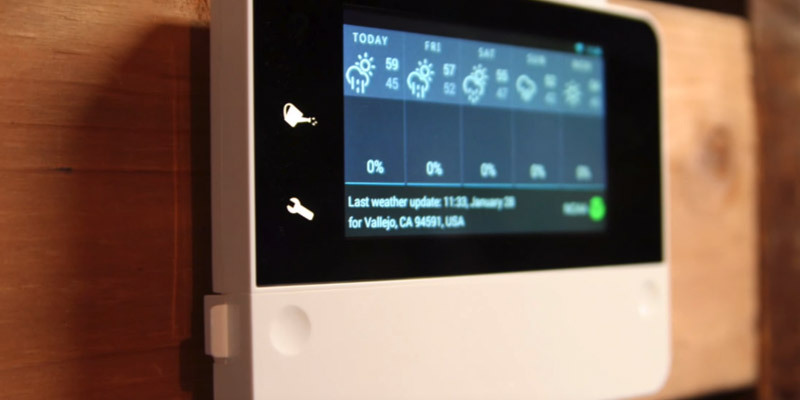 Finally, you may benefit if the controller is included into a “smart home” system. Considering versatility of its functions, this solution sounds reasonable. Moreover, this smart controller is compatible with accessories and home appliances made by Nexia, Crestron, Control4, Wink, and Nest. Use a Wired rain sensor to collect precise data on humidity and atmospheric pressure and come up with the right weather forecast each time when needed. A Spray Head Pull-Up tool will come in handy if you need to lift up a sprinkling head. 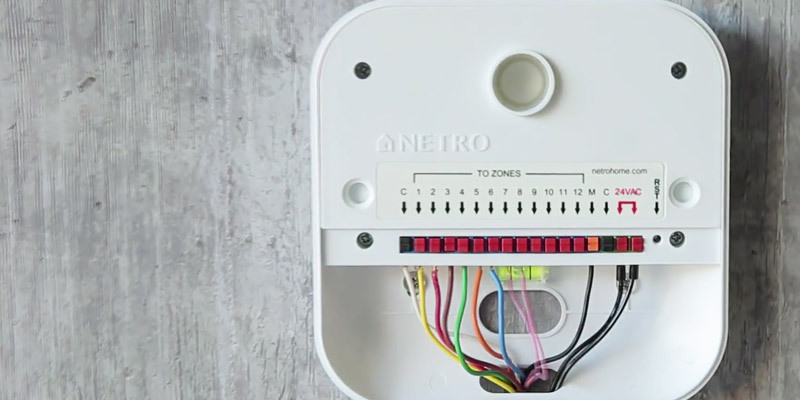 The Netro Smart sprinkler controller is a modern device manufactured in a compact plastic case. With its slim and aesthetic design, the white casing conceals high-tech components that make this watering controller so easy to use. The model was designed to be easy to install so that you can replace your current controller with this product by Netro in some 15 minutes without special tools. Moreover, you don’t need to have any special expertise to be able to install it as it is equipped with a special magnetic cover enabling an easy access to both power supply and control signal internal wiring. Just follow simple installation instructions and you’ll be able to deploy this controller on your own in several minutes with no fuss. This model is capable of controlling up to 12 irrigation zones plus a master valve. 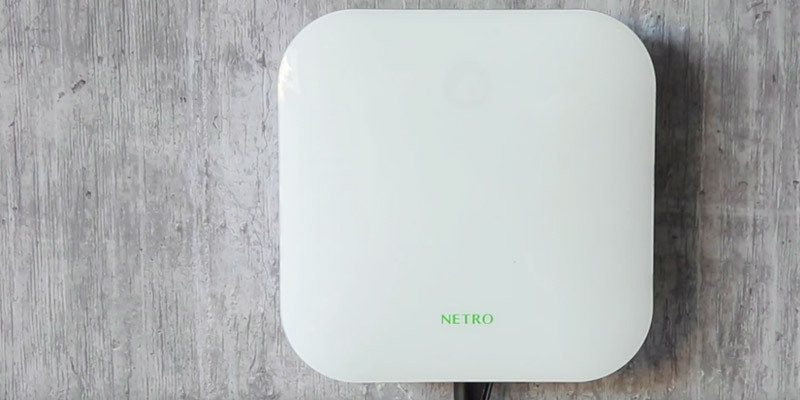 However, you will see no controls on the Netro Smart controller; it is a completely wireless solution. 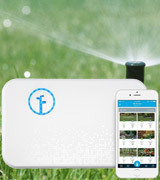 The Smart allows for a remote control of the sprinkler from practically any place where an Internet connection is available. Though it is not the most advantageous feature it has to offer. While there are many digital sprinkle controllers available today, the combination of its cutting-edge components and software makes this device stand out from the rest. Indeed, the operation of this smart controller by Netro is fully automatic meaning you only need to connect the wires to it, establish an Internet connection, start the bundled application and let the device do the rest. 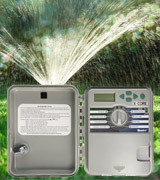 After that, you will forget about a manual setup of your irrigation controller as the Netro automatically optimizes its watering schedules by constantly adapting to local weather and season changes, as well as maintaining your garden irrigation in compliance with your local standards and regulations regarding water conservation. 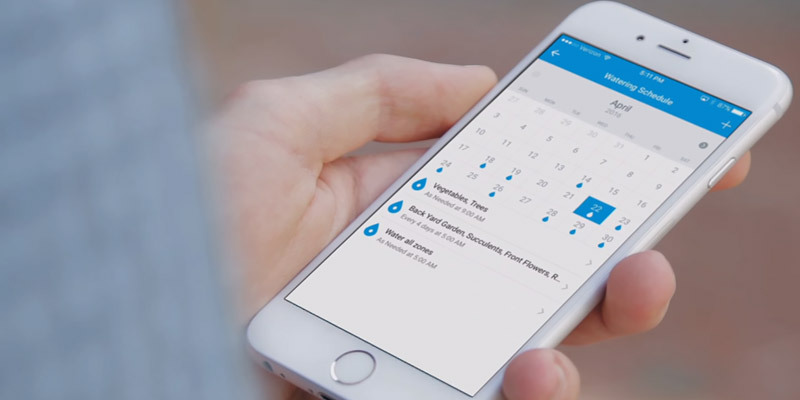 Despite the self-learning and automatic controller architecture, you are free to adjust your watering schedule manually in a calendar view as well as to monitor the water usage and saving from your smartphone or tablet (iOS 8.3+ or Android 5.0+) via the application. It is mostly its advanced software that ensures a brilliant performance of this sprinkler in carrying out your garden irrigation. The advanced watering algorithms that run the watering of your garden when water evaporation is minimal and break long watering cycles into several shorter ones to prevent possible runoffs. Moreover, the model software bundle offers the growing Netro Plant Database featuring over 1000 common species so that the system accounts for specific demands of your garden plants when maintaining their watering. 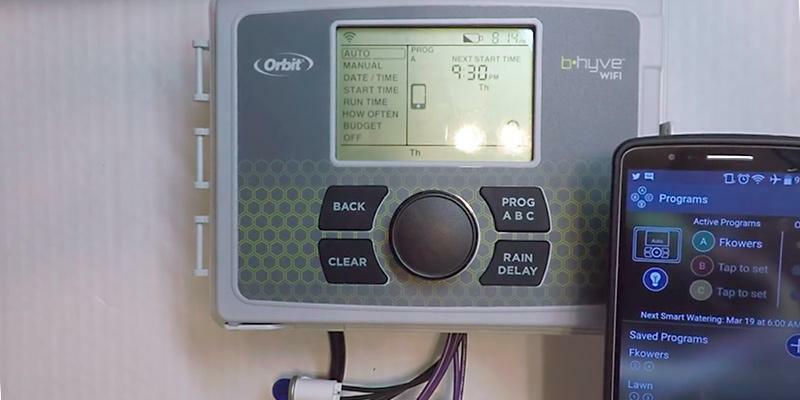 It's high time to get acquainted with the Orbit smart sprinkler. It maintains up to 12 irrigation zones though if your lawn is not that large you might stick to the model servicing 6 zones only, offered by the same manufacturer. Observing the test performed on this controller, we enjoyed an innovative approach to its software package. 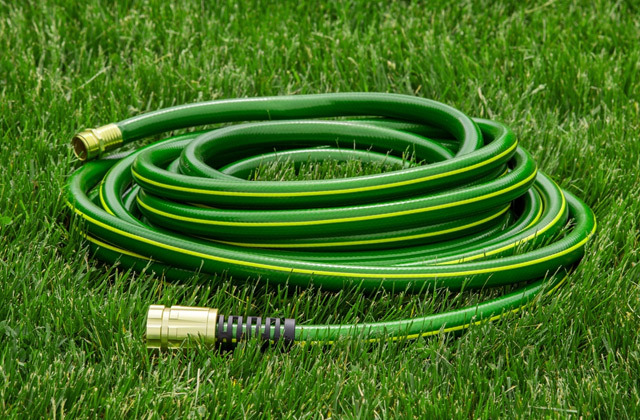 There are 3 options for different irrigation plans: for example, program A monitors your lawn, program B keeps your flowerbeds wet, and program C waters your garden. This sprinkler system also allows selecting from two alternative control methods: a mechanical control with buttons on the control panel and a remote control from a smart device. It should be mentioned that the working temperatures of the controller range from 32°F to 158°F. We would recommend its use exclusively in a warm climate. We would like to put particular emphasis on the B-hyve technology developed by the manufacturer. It allows you to easily set a wide range of functions. In case you are confused with this technology the package includes a detailed training video on the set-up process. One more feature we particularly liked is a possibility to label individual irrigation zones and even to assign photos to them. Every time you select a watering zone you can see which plants are sprinkled at the moment. The smart sprinkler collects information from various Internet sites to make the watering process as precise and efficient as possible. It is also necessary to mention that you have a free choice to install the Orbit system indoors or outdoors right out-of-the-box. 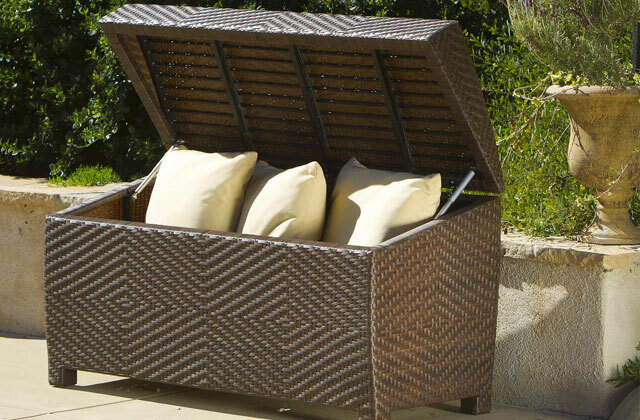 It is equipped with a weatherproof casing resistant to the moisture and can be mounted nearby the lawn. So, you do not need to enter your house to switch the sprinkler. 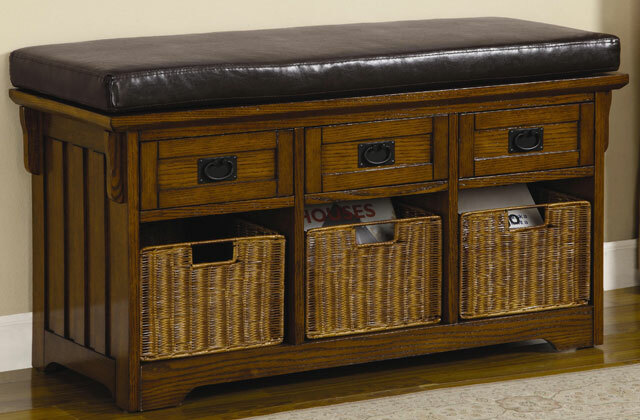 The swing panel lock prevents an unauthorized access to the controller. In conclusion, it should be said that this device is most appropriate in case you are not able to install the watering controller indoors. An additional advantage is a possibility to connect controller directly to the power switchboard by-passing the wall outlets. You only need to take off the plug. The Orbit Company is the world leader in manufacturing and selling irrigation systems, misting systems and home appliances. It is present in 40 countries from 5 continents. Its production capacities encompass national and international R&D, design works, and cutting-edge technologies for casting and injection molding. The company management has a clear vision of the production targets striving to exceed client expectations and ensure the ultimate quality of its products at the most favorable price. Orbit does not stop to progress and move forward, they constantly seek perfection and introduce new goods that help their clients save time, water, and money. The company's objective is to deliver products that would satisfy the pickiest clients and guarantee functionality, long useful life and simplicity. A rain and freeze sensor can sense rain and frosts and inform you of a weather change in time. You may want to use 1- or 2-horsepower pump start telay to automatically start the pump while watering the lawn. 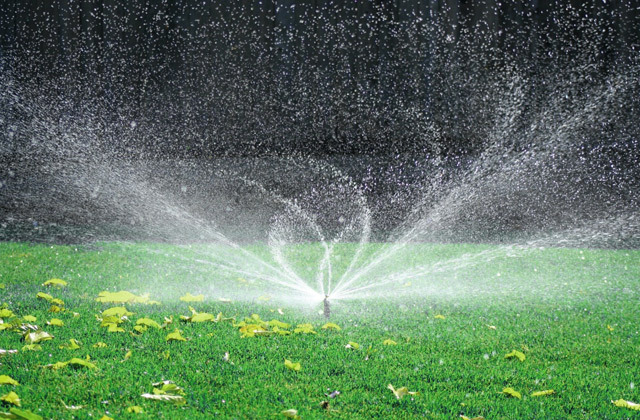 Unless manual watering gives you an exquisite pleasure or a peace of mind, it is much more practical to use an automatic system for this purpose. 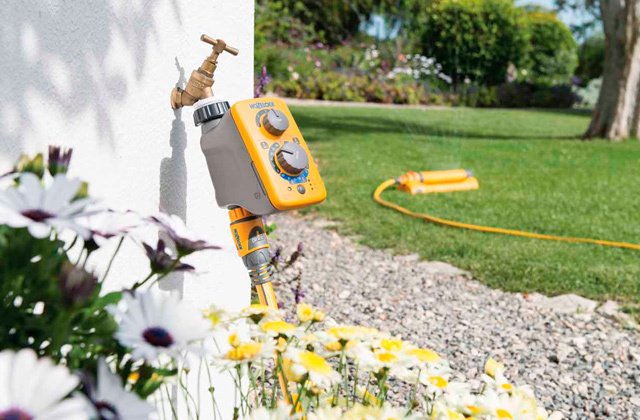 The XC600 is a perfect fit for those who need to maintain their garden plants well-watered but do not want to use sophisticated and complex to configure and operate sprinkler controller. In general, this smart sprinkler solution offers all the necessary features together with a great build. Its rectangular box-shaped casing is made of sturdy plastic and features a key-lock front door to protect its internals. On the inside of the door back you can see the compact LED display and controls of the device. 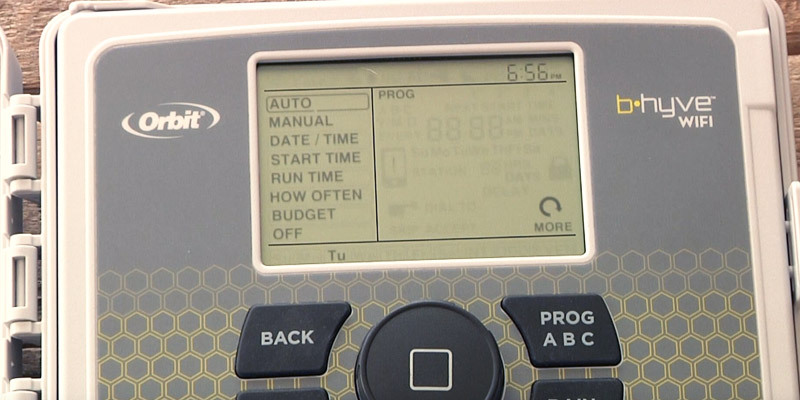 The control panel consists of five buttons for programs selection and settings adjustment, a two-position switch, and a big convenient dial in the center of the door back cover for switching between the settings. Another beneficial feature that complements the sturdy design of the device is a short-circuit protection that helps to avoid device failure in case of powering and wiring issues. 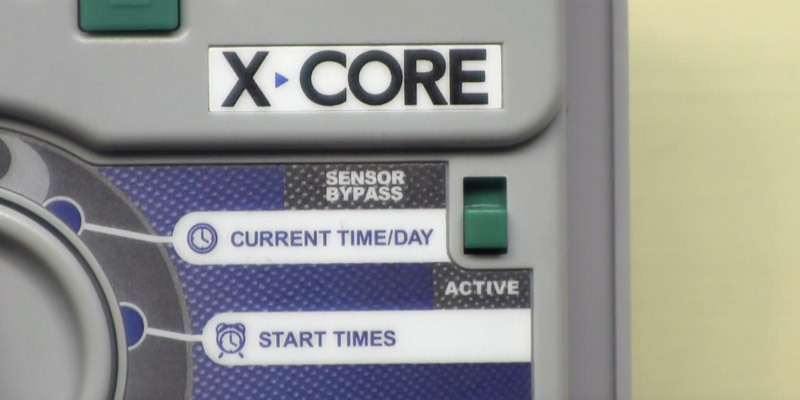 With its proprietary X-Core technology, the Hunter XC600 provides a simultaneous control of up to six stations. Add three user selectable watering programs each offering an option of four start times for the sprinkling and you’ll get a perfect solution for residential use. The simple controls and easy to retrieve memory make manual programming and controlling the watering of your garden quick and easy. The whole configuration procedure requires only setting such simple program parameters as start and run times, seasonal adjustment and water days selection. After memorizing the program settings, you can quickly assign it to your watering stations. Thus, in practice using this multi-zone controller is simple and easy. The operation of the CX600 is not limited to a manual configuration, though. The device is compatible with Hunter's the ROAM Remote Control by Hunter. Using the ROAM with this controller model allows you to start irrigation wirelessly and in a quick way. However, there is an option of pairing this watering controller with the cutting-edge Solar Sync ET sensor to enable the controller’s smart operation of your irrigation system automatically setting run times and cycles based on locally measured weather conditions. Today we will review the RainMachine controller made by Green Electronics. 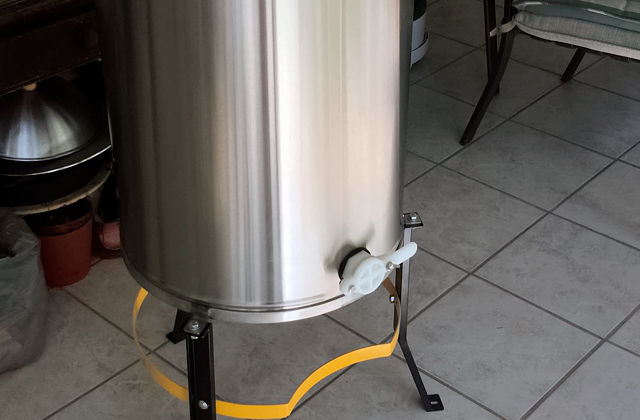 It maintains up to 16 watering stations on your lawn and can operate them all either simultaneously, sequentially, or in parallel, thus enhancing the functionality and providing you with a freedom of choice. If your lawn is a big one, you may purchase a model for 12 stations offered by the same manufacturer. 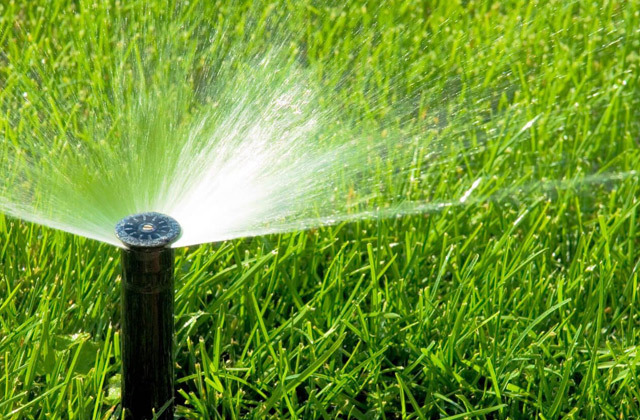 In this case, we recommend calculating in advance how many watering zones should be covered by a smart sprinkler and buy a controller with the excessive capacity. We liked the option of separate programming for each station depending on the lawn location and conditions. There is an unlimited quantity of available programs for every watering station, i.e. you can set parameters taking into account the specifics of each zone. We have noticed that the sprinkler works in a wide range of temperatures. Whether it is a cold winter or a hot summer this controller will continue performing perfectly! 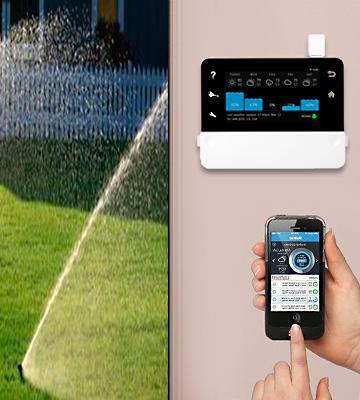 We believe that the major advantage of the RainMachine sprinkler is its touchscreen display, which is almost the size of a tablet. The display does not only reflect all relevant information but also allows controlling all watering stations. It is very convenient. That is why currently sensor displays are used worldwide to control various devices. 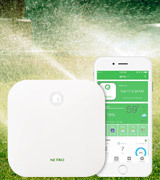 The built-in Wi-Fi adapter provides you with a comprehensive control over the smart sprinkler from any PC using a browser or a smartphone if you downloaded a special application. 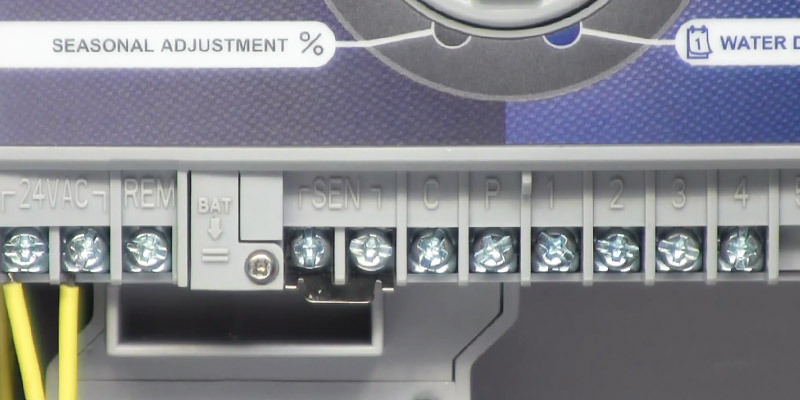 You can find a lid under the screen covering additional mechanical controls. If you feel unsatisfied with pre-programmed functions, you might adjust or fine-tune any program you like. Once again, why is this controller called “a smart sprinkler”? The answer lies in its specific features. And the main feature is the Internet access. You got it right, the data downloaded from the Internet helps organize a proper irrigation of the lawn, i.e. based on this information the controller will adjust the sprinkling schedule. The source of weather forecasts is the NOAA service. Those who have not heard about this service - we assure you that it is considered to be the most trustworthy weather forecast in the world. Nevertheless, we have found out that to ensure the ultimate accuracy of forecasting the controller collects information from other sources too. We would also like to draw your attention to the Precision Forecast function that determines the exact location allowing the controller to forecast the weather even more accurately. Having studied the manual we discovered that your location data is stored in the controller itself instead of Internet servers. It is an evidence of the manufacturer’s care about safety and confidentiality of your information. You also should not worry about an excessive water spending. The RainMachine is EPA WaterSense certified for the efficient and effective saving of the water resources. 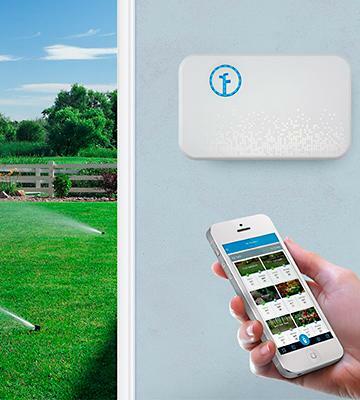 This means the smart controller saves you money every time it sprinkles over your lawn. Our overall conclusion is that this model would be a perfect choice for the people wishing to have the full discretion and control over every inch of their lawn. This controller takes care of your property as you would do it yourself. Consider a Granite Rock Sprinkler System Valve Cover Boxfor additional protection of the irrigation system. To achieve more diverse watering options, you can purchase a Brass Impact Sprinkler and increase sprinkling radius from 20 to 41 feet long. We can see groomed lawns not just in the parks or at the stadiums, but near buildings like hotels, banks, shops, filling stations, and country houses. 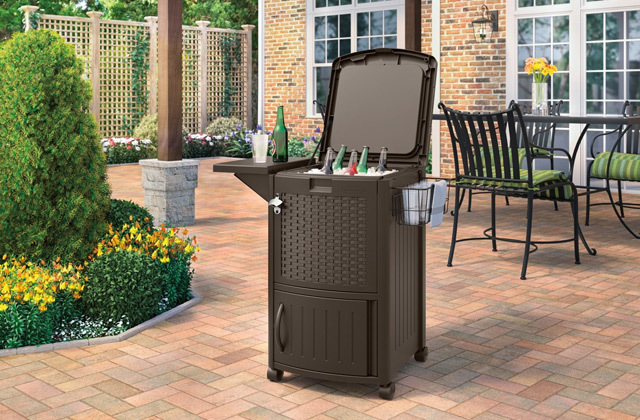 Many of us like spending time in the backyard, drinking sprightly beverages and enjoying the view of the lawn. But then, what should we do to keep our lawns beautiful and alive, and prevent their drying? 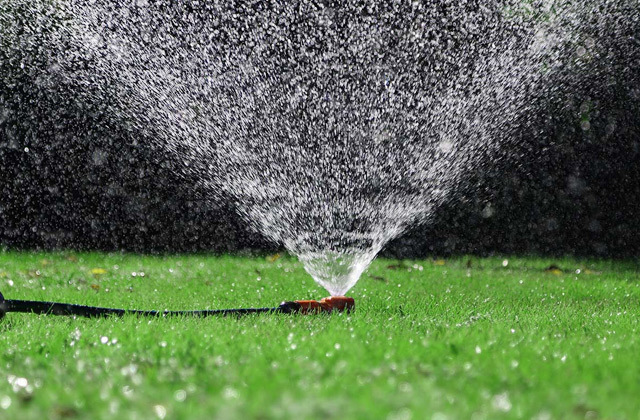 Basically, there are two common ways to water the lawn - manual and using irrigation controllers (smart sprinklers). Manual watering requires fussing with buckets and hoses, which takes a lot of time and effort. 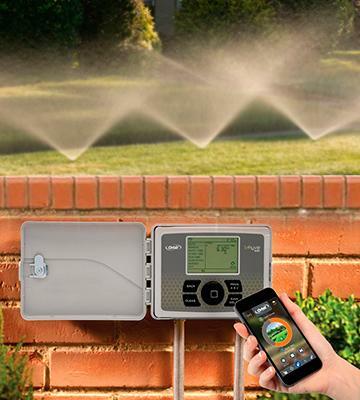 Contrarily, irrigation controllers make watering easy and automatic. They pick the data from ground humidity sensors and/or weather forecast centers and provide the needed amount of water not to dry out and not to overwater the lawn. Most sophisticated sprinklers can be controlled via smartphone from any corner of the world and may cover up to 48 watering stations. We have considered smart sprinklers and their key features to help you choose the right model. You should also mow your lawn to keep it nice. Our best lawn mowers review will help you pick a proper lawn mower for your needs. Also, you might need a good leaf blower for keeping your pathways clean. Performance is the first thing that deserves your attention when you choose an irrigation controller. In particular, the number of stations is the key feature of any controller. Thus, the number of stations is normally equal to the number of sprinklers controlled. An irrigation controller may maintain up to 48 stations, so you should consider the area of your lawn for accurate irrigation. Some models may be connected to additional modules to increase the number of serviced areas and enhance the sprinkling capabilities. The number of programs is the next important parameter to consider. 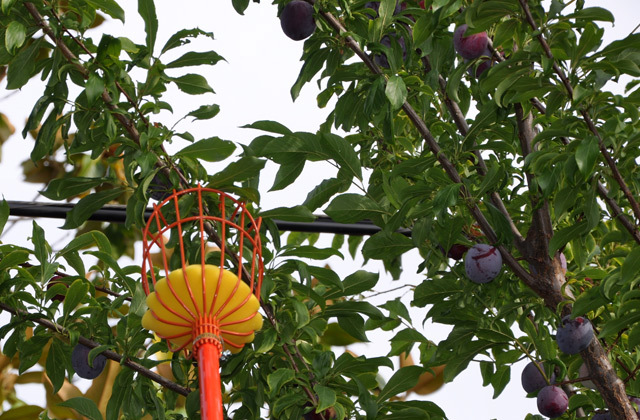 The programs may be automatic or manual and provide accurate, correct irrigation. Some controllers allow you to set the programs yourself according to your lawn conditions. The performance of a controller may be affected by operating temperature range. Thus, if the summer in your region is hot, you should pick the controller capable of working at high temperatures. Otherwise, the controller will fail and your lawn will not be watered properly. You should pay attention to control that allows you to comfortably set the controller for managing the stations effectively. The irrigation controllers commonly have electronic or mechanical controls. The most sophisticated models are equipped with touchscreen displays that provide full control over irrigation process. Yet, this is not the whole story. 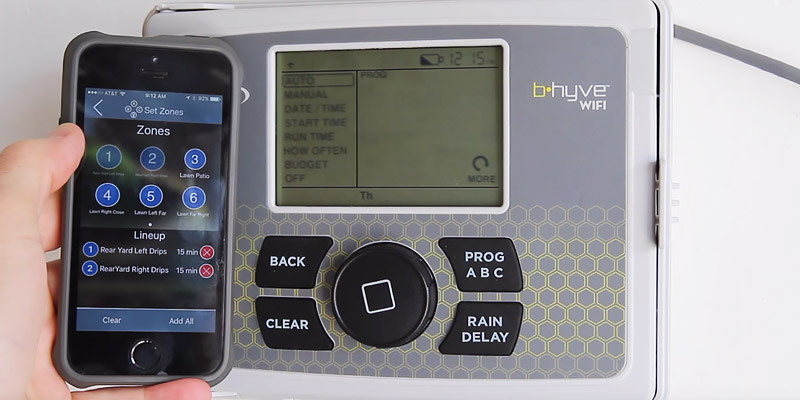 Most of the irrigation controllers can be controlled wirelessly via smartphones based on Android or iOS. The control is performed through the built-in Wi-Fi modules that synchronize with smartphones through the web. You just need to download the official app to control the irrigation from anywhere around the world. This way, you can set the parameters of a controller as well as program the irrigation modes while being on vacation or business trip. The irrigation controllers usually come with additional features. For a start, decide on the type of a controller as controllers are available for indoor or outdoor use. 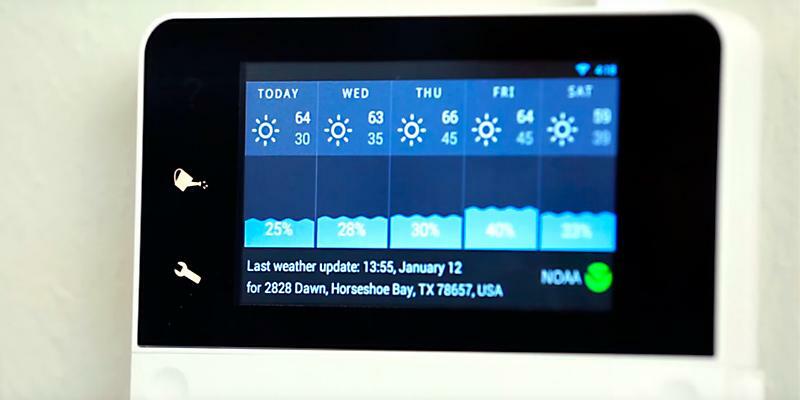 Indoor controllers are convenient in use as you can activate irrigation, staying in your house. The downside of these models is a complex mounting and the need to pull the wiring into your house. Outdoor irrigation controllers are usually mounted outside the buildings, near lawns. 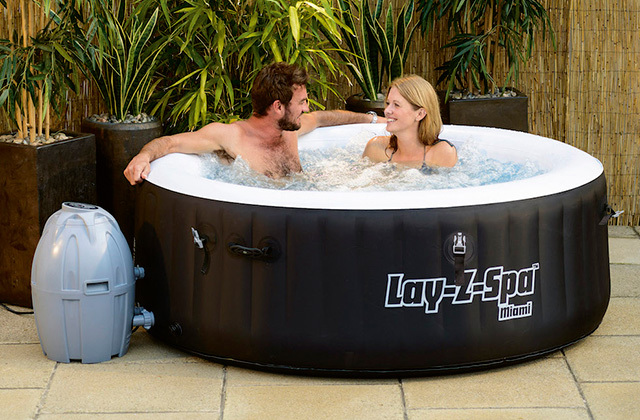 They are waterproof and feature lockable doors that forbid unauthorized use. However, it should be noted that the indoor models may be also mounted outdoors; they just need special outdoor housings for protection. 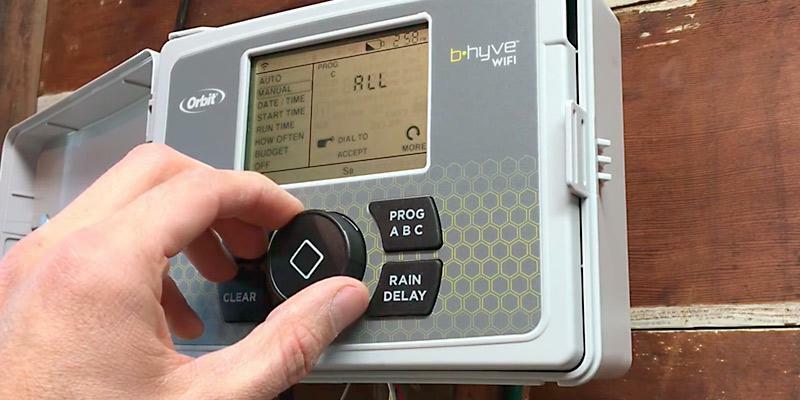 Other features of an irrigation controller may include automatic diagnostics of all system units and connection of additional modules to expand the irrigation capabilities. 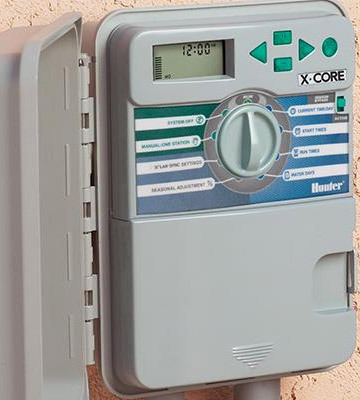 Some irrigation controllers may serve as such modules and can be integrated into home automation systems. Hence, you can control not just your house but also the lawn watering with a single system. Furthermore, you can equip an irrigation controller with moisture and weather sensors to let the system determine the right amount of water and the duration of sprinkling. 1. Cabe Atwell Smart Sprinkler Systems Save Water and Save Houses, Sensors. December 2, 2015. 2. William Finucane Create a Smart Sprinkler System to Water Your Garden When the Soil Dries Up, Mad Science. 3. 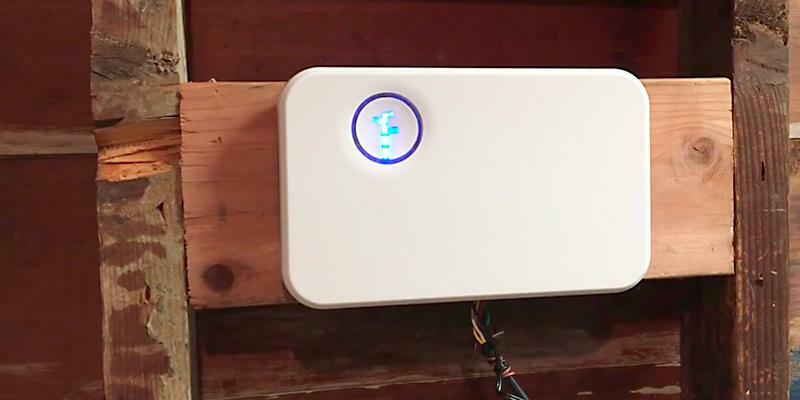 Klint Finley Smart Sprinkler Checks the Weather to Avoid Wasting Water, WIRED. November 24, 2015. 4. Selecting a Smart Irrigation Controller, University of California. June 29, 2010. 5. Irrigation Controller, Wikipedia. May 29, 2015. 6. Smart Irrigation Controllers, SRP.